Breakfast is not a meal time I particularly enjoy, it can be a bit of a rushed affair. Jack tends to have his breakfast whilst I get Isla ready and then when hes finished I sort him for school, meaning most times Isla doesn't get her breakfast until we are back home from the school run by which time shes generally tired. Finding something quick and simple for her is a bit hard. 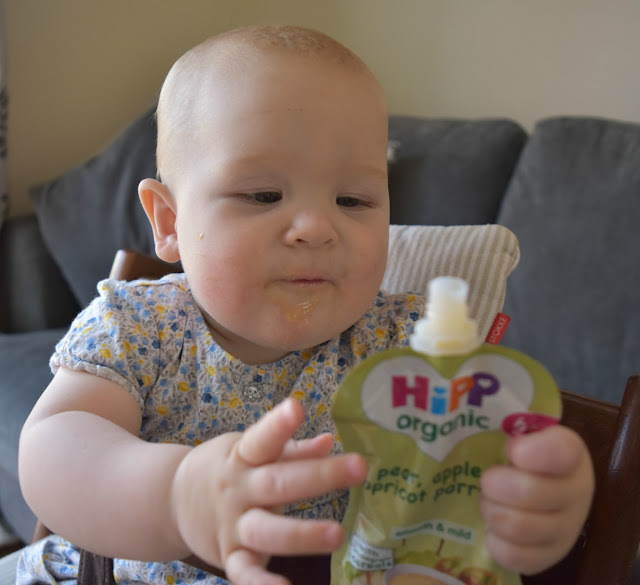 So when I heard that HiPP Organic has introduced a new range of porridge pouches I knew they would be ideal for us and many other busy mums. 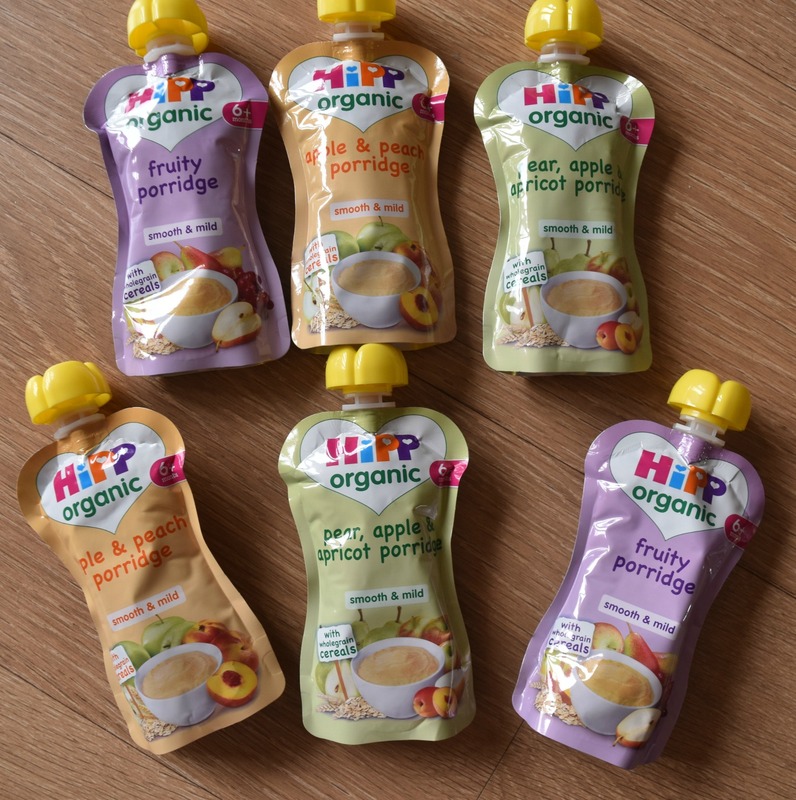 The new HiPP Organic porridge pouches are suitable from 6 months and come in a range of three tasty flavours: Pear, Apple & Apricot Porridge, Apple & Peach Porridge and Fruity Porridge. As with all of HiPP products they select special varieties of fruits and vegetables which are naturally low in acid content whilst high in nutrients. Then to ensure their optimum flavour they are given time to ripen naturally and harvested when at their plumpest and sweetest. We have tried each of the porridge flavours with Isla and she's enjoyed them all taking a slight preference for the Pear, Apply & Apricot flavour. Each one she has tried she has more or less completely finished. 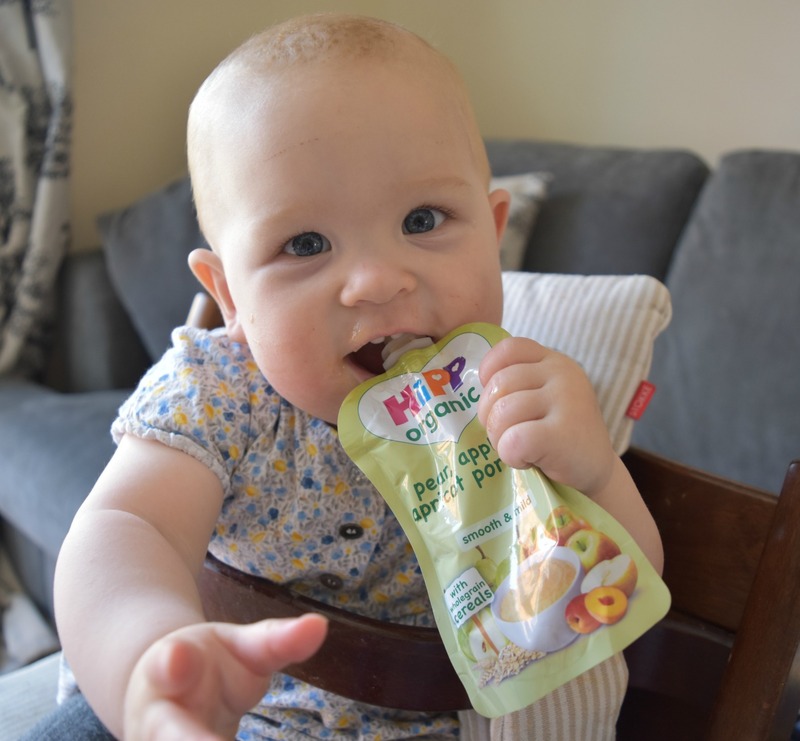 The porridge is smooth consistency perfect for early weaning days right through, and coming in a pouch, its perfect for on the go if need be. On 1st June these pouches will be exclusively available in Tesco and become available within Waitrose from June 13th. As well as the porridge pouches, HiPP Organic have created a range of cereals aimed at toddlers 15 months plus, which Jack has tried out. These are Fruity Muesli with crispy ducks and Fruity O's. Both are made from organic fruit and multi-grains so still using the highest quality of ingredients. 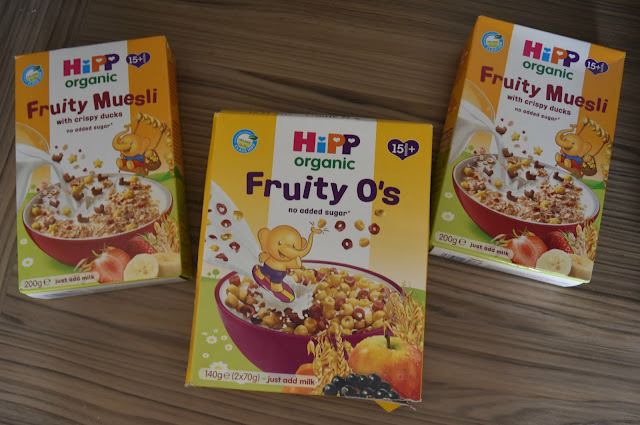 There is plenty of information available on the HiPP Organic website about the new range as well as the existing range. 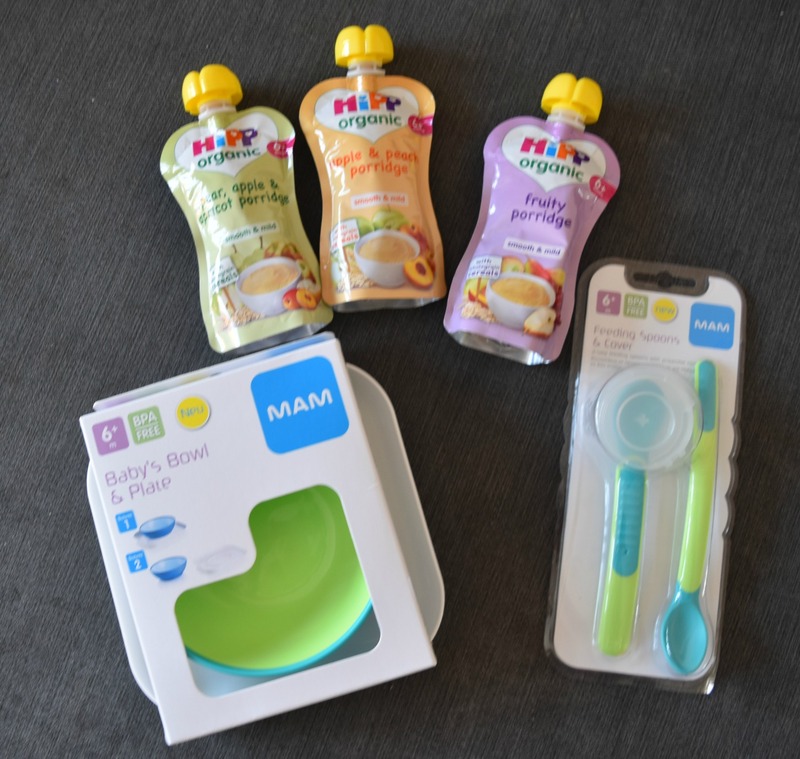 If you fancy trying the new range for yourself, we have a fantastic giveaway in which you could win a HiPP Organic product hamper, including a selection of the new products. To enter simply complete the entries below.